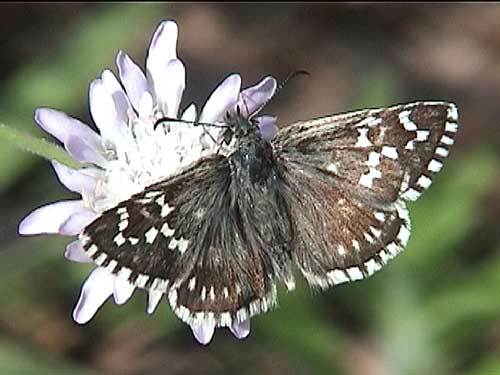 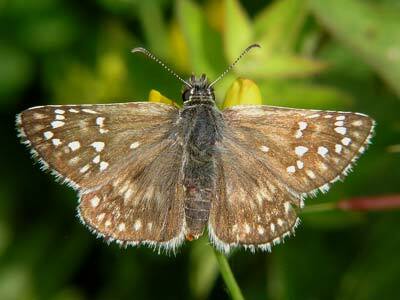 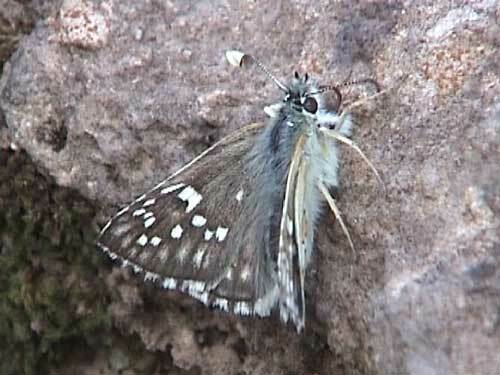 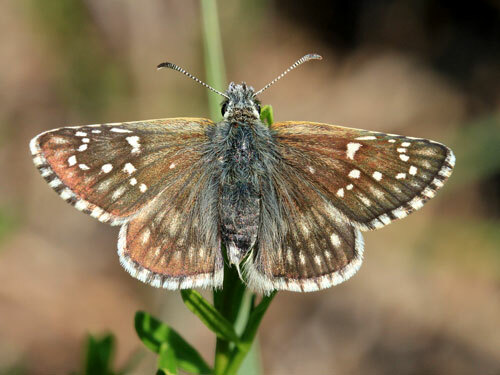 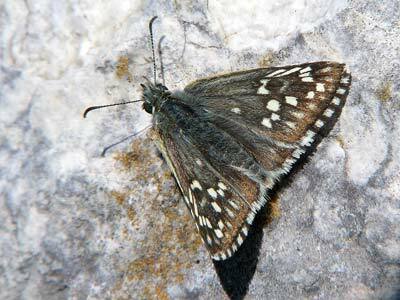 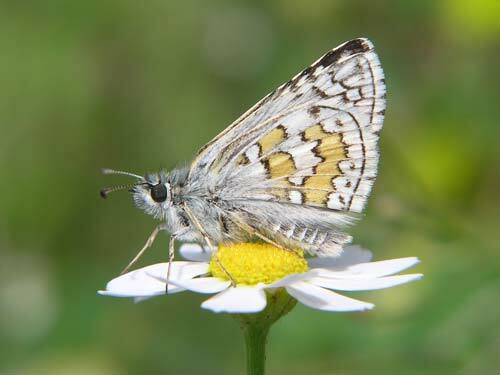 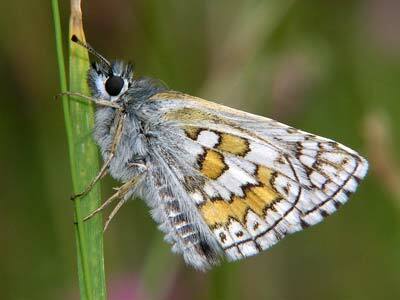 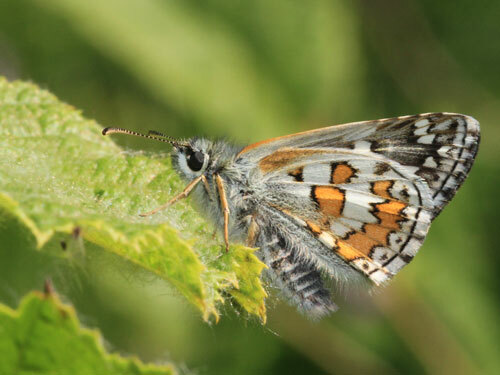 The only example of a brightly coloured species amongst the grizzled skippers, Pyrgus. 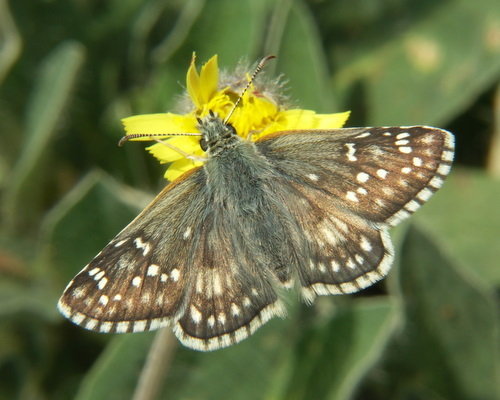 Identification & Similar species: The underside hindwing yellow bands are unique. 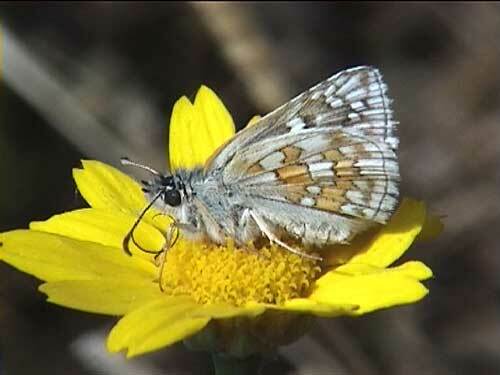 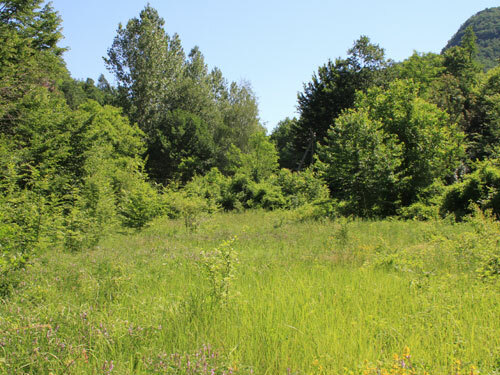 Habitat & Behaviour: Hot dry grassy places, often in the vicinity of scrub. 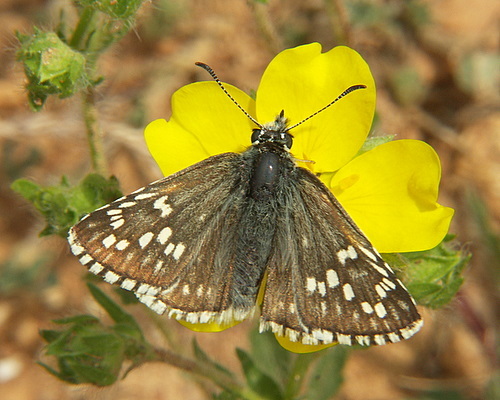 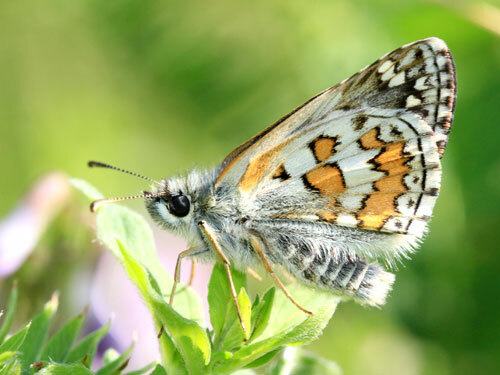 In France usually with an abundance of its larval food plant Ptentilla. 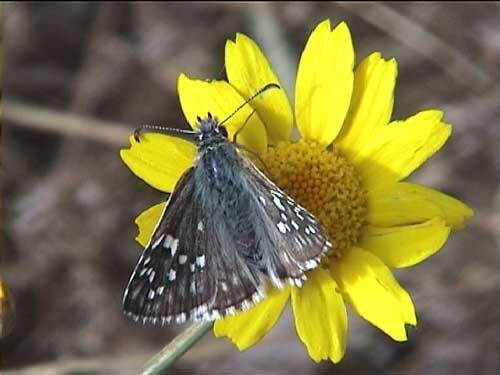 Appears to patrol areas of grassland. 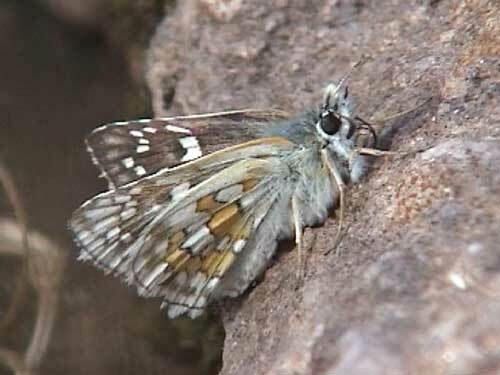 I'm not sure if this is territorial behaviour or simply that they remain in areas they like - I've never found enough in one place to be sure.